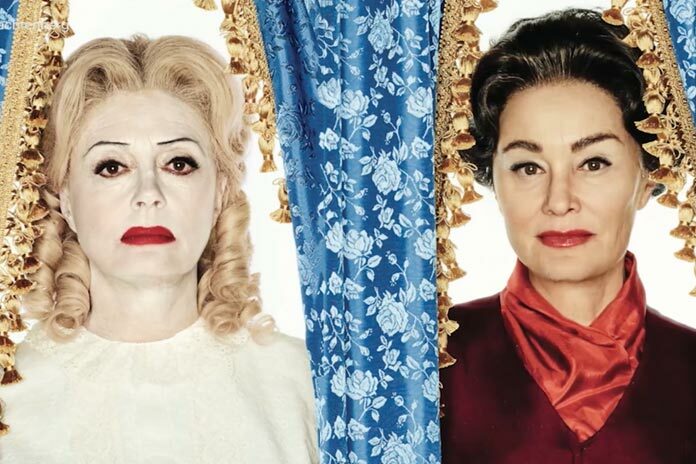 Delicious for its melding of Hollywood lore and golden age gossip, done up with a lavishness that is 10 times the budget of the pulpy film it portrays, “Feud: Bette and Joan” (FX, 10 p.m.) is the series of the season, as smart and irresistible in its way as Ryan Murphy’s “American Crime Story: The People vs. O.J.Simpson” was last year. 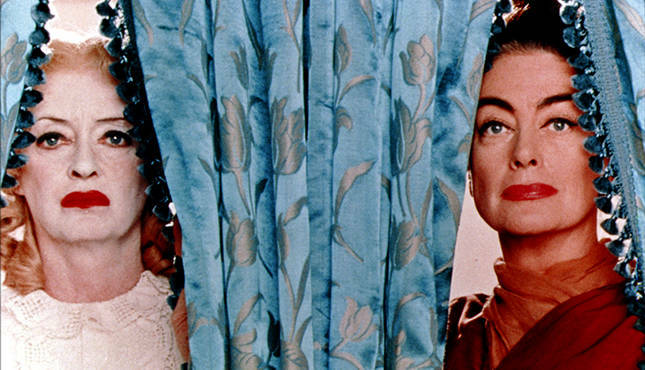 It depicts the making of the weird 1962 cult classic “Whatever Happened to Baby Jane?” and its exploitation of the animosity between its two fading stars, Bette Davis and Joan Crawford. Accordingly, it stars two women of a certain current age who are more than able to rise above the mere impersonations to embody these legends with some nuance. In the early 60s, Davis and Crawford were considered washed up, despite their lengthy and remarkable careers in Hollywood. They were only in their 50s, but then, like now, roles for older women were scarce. Both Sarandon and Lange are both a decade older than their characters, yet because of modern makeup or sheer vivacity, they still seem younger. Lange, who has been part of the Murphy repertoire company on his first anthology, “American Horror Story” is solid as Crawford — never influenced by the “Mommy Dearest” depiction, but forever wearing a Hollywood mask over her Texas-born desperation. Sarandon, who, impossibly, is 70, would seem at first too tall for the compact Davis. But her bugging eyes are the equal of her character, and she does some things with her voice that nail the person without approaching too much an impersonation (unlike Crawford, she was her own person as well as a star). What’s splendid from “Feud” is its pacing and writing from Murphy and Tim Minear and the money poured into it to recreate lavish scenes of early 60s Los Angeles – sets as opulent as those made for movies. At every turn there is another find casting choice or cameo, with Alfred Molina as the suffering director/writer/referee fighting to get the film made, Stanley Tucci as the crass studio boss, Judy Davis as the flamboyant Hedda Hopper, Kathy Bates as Joan Blondell, telling the story from the late 70s, and Kieran Shipka (from “Mad Men”) as Davis’ resentful daughter. And some of the surprises are actresses you may not know, such as Jackie Hoffman, as a Crawford aid known as Mamacita. Playing Hollywood icons doesn’t always work — Catherine Zeta-Jones doesn’t quite have the inner glow to play Olivia de Havilland (still to show up is Sarah Paulson as Geraldine Page). But while he could accelerate the camp of the catfight, Murphy steps back, out of an effort of opening up half his directing jobs to women. And while there is a lot of the expected squabbling between two actresses who had always been rivals, as they work on their weird first collaboration, there are a lot of issues about the lack of roles for women of a certain age and other barriers to women in Hollywood — something clearly still happening 50 years late. “Feud” runs Sundays for eight weeks on FX. This entry was posted in Review, Television, What's On TV, Winter Press Tour 2017. Bookmark the permalink. Both comments and trackbacks are currently closed.